Just a quick update from me, as I need to get to bed. I compete at Desert Classic on Thursday, but I have to work tomorrow and that means a 5am wake-up call! I still wanted to drop in and say hello. Less than three weeks until my first competition in over a year! This past week’s lessons brought me through the whole spectrum of emotions related to that fact. First, there was Wednesday. Countdown to Beach Bash: 4 Weeks – Don’t Panic! After about a week and a half out of the studio, I had a lesson with Teacher on Wednesday followed by almost an hour-long practice with a new practice partner. I think I pushed myself a little too far because I was exhausted and started getting a serious headache on the way home. There’s no time to slow down though; Ballroom Beach Bash is in four weeks! Star Dance Tour – Ohio Star Ball! Update: Teacher and partner made it into the semifinal round of the Open Pro Smooth event. They WON the audience wildcard vote, so they were still able to perform their show dance! Unfortunately, they just missed winning the final audience vote. Let’s rally and kick it up a notch for the grand finale of the Star Dance Tour at City Lights Open in January 2017! Before I start seriously packing for my cross-country road trip, I wanted to let you know that Teacher and his pro partner will be competing at Ohio Star Ball this Saturday, November 19, and we can watch it livestreamed! For those who aren’t aware, Ohio Star Ball is a HUGE ballroom competition. For pro-am students, it hosts the final event for the Best of the Best Dancesport Challenge. For Teacher, it is the latest stop on the Star Dance Tour. I’ll be on the road on Saturday, but should make it to my first hotel in time to watch Teacher dance. If not, you can bet I’ll be sitting at a rest stop livestreaming on my phone! As usual, you can watch the livestream here. Teacher has told me their first round is around 8:30pm EST, but if you want to catch other events happening on the same night, the session starts at 7pm EST according to Ohio Star Ball’s website. If I learn of any schedule changes, I will update this post. Don’t forget to stick around to vote! You’ll be able to vote on the livestream website (just refresh the page if the poll doesn’t appear when the MC at the competition announces that it’s time). As usual, there will be a “wildcard” vote and then a final vote. The wildcard vote is for dancing couples in the semifinal round who do not make it to the final round. Whoever gets the most wildcard votes will still get to perform their show dance. Once the show dances are over, there will be another chance to vote. Just like on Dancing with the Stars, winning the audience vote helps the couples advance in the tour. Teacher and his partner have won the popular vote at EVERY competition they’ve danced at for the Star Dance Tour. That should tell you something about their show dancing abilities (and how awesome their fans are). I happen to know, and I’ll share with you, that they are planning on performing a new show dance at Ohio. So if you’re thinking you’ve already seen their dance and don’t need to watch it again, you ain’t seen nothing yet! Please join me to watch the livestream on Saturday night. Watch for Kris Suakjian and Briana Haft on the polls when they open, and vote, vote, vote! Also, as usual, I’ll be hanging out on Facebook, so please stop by and say hi! Ok, time to pack! Happy dancing everyone! Sunday update: The poll listed their number wrong (they were told 130, then wore 150 but the poll still listed 130). But it didn’t matter! Kris and Briana still won the audience vote and placed 3rd overall in the show dance! Thanks to everyone who voted! Let’s keep this streak going! 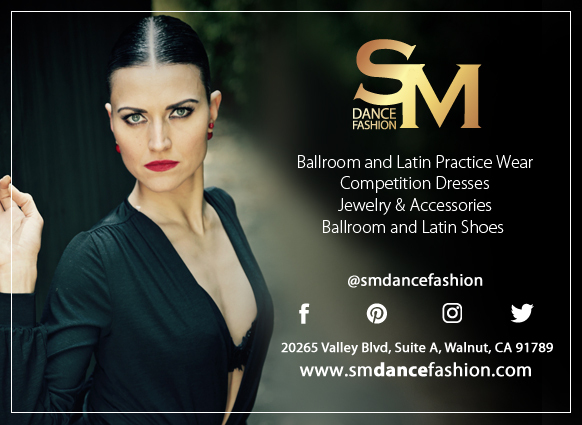 As promised yesterday, here is more information on how you can help Teacher and his pro partner and get to watch some amazing ballroom dancing at the same time. They are competing at the NV Ball tomorrow, August 20. The Star Dance Tour’s website will be live streaming the competition and you can watch FOR FREE! Their specific pro open smooth event starts just before 9 pm PST. The show dances will happen right after the final round. After all of the show dances are done, the polls open for only 5 minutes! You can also look for their number: 130 150 (sorry for the typo!). If you have multiple devices, vote on all of them! Another way you can vote is via text! Text “dancebeat” to 22333. You’ll get a response back acknowledging that you’ve joined the session. Then when it’s time to vote, just text “130” to the same number. You will get a response back, something like “You chose 130 Kris and Briana.” And that’s it! As people vote, you’ll be able to refresh the live streaming page for updates on who’s winning the audience poll. So far, Kris and Briana have either tied or won the audience vote at every competition on this tour! Let’s keep this streak going! Please watch tomorrow, Saturday, August 20, and VOTE for Kris Suakjian and Briana Haft!